Commercial Cleaning Contracts in London. Ultimate Cleaning Services provide a wide range of commercial cleaning services in the City of London and West End to offices, shops, hospitals, schools and builders cleans. Multiple tasks can be carried out on your premises including walls, ceilings, blinds, upholstery, window and carpet cleaning. We can organise one or more cleaners for small and larger contracts to suit your company’s requirements and budget. Safety training is regarded as an indispensable component to an effective health and safety program. 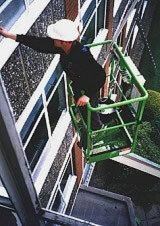 Every worker in our organisation is trained to perform their job effectively and safely. All operatives are uniformed. for commercial cleaning contracts in London City, West End and Docklands.